Jenny comes from a disadvantaged family in Asia. She had to work to help her single mum with living costs so she could afford to send her to school. Jenny will never forget a primary teacher who paid for her school fees. Jenny loved school and this teacher inspired her to become a teacher herself. This was just one of the many stories shared at our first Teachers Meetup of the year, which Andrew Barr and I hosted early in March. 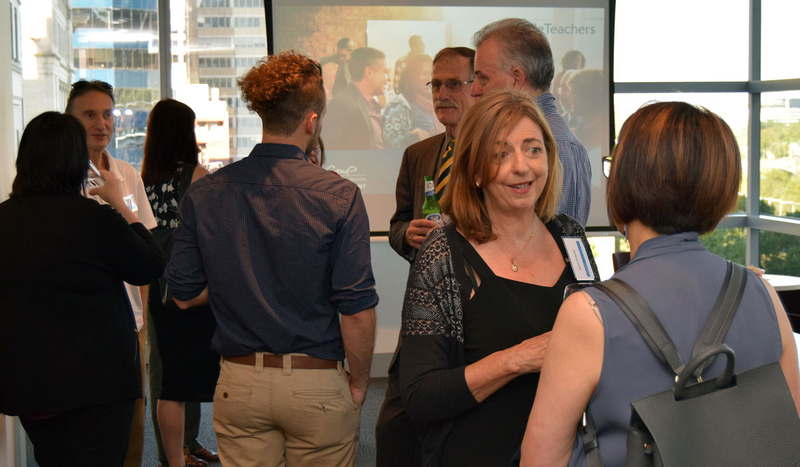 Teacher Meetups provide an opportunity for teachers to get together outside of the school environment, share their experiences and yes, network with their peers. As recruiters we focus on candidates when they need a new challenge, but we also care about experience in their current roles, their previous positions and the journey they take as their career in education progresses. Laura’s parents were teachers. Like many children, she had initially resisted following in her parent’s footsteps. Later in life she came to realise that learning was integral to her upbringing and teaching was in her blood. Eric is a former teacher. It can be a tough job and his years of teaching were physically and mentally demanding. He wanted to share his story with others in the profession to help teachers take care of their personal wellbeing and prevent burnout. Claire became a teacher because she loved the French language (I can’t blame her for that). No matter how much you enjoy teaching, it takes a lot of energy. It wasn’t long before her passion for the subject was equalled by her care for the students. Networking therefore, can simply be sharing a moment. One reason I push myself to go to networking events is because, as you’ve just read, sharing your experiences with others is empowering. It boosts your confidence, nurtures affinity with peers, and makes you feel less isolated. As a former Principal, Andrew highlighted the collaborative and supportive actions of peers and colleagues as essential to teaching. In a teacher’s world, networking is about learning from each other to improve your ability to help students along on their learning journey. After the meetup a few teachers went for dinner together to celebrate a recent VIT (Victorian Institute of Teaching) registration amongst the group. What about you, why should you network?